Linux: Install a million games in one click! Well, not really a million, but how about tens or hundreds? Good enough for you? 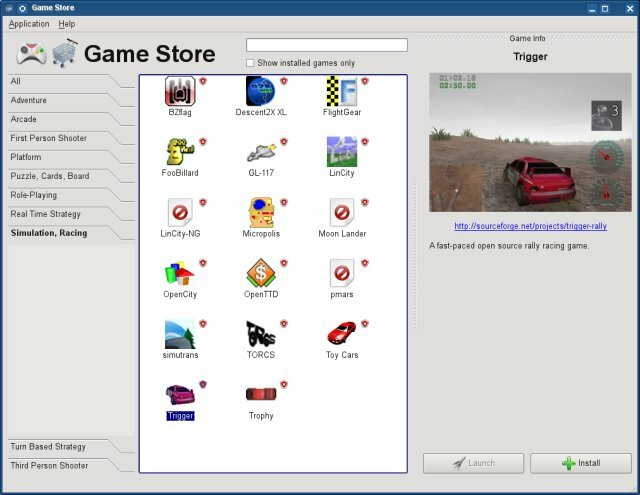 Today, we will talk about two extremely useful applications that allow to you search for hundreds of games that run on Linux, sorted by category, popularity, license, or price, read game synopses, check out the screenshots, and then, should you decide that you like some of them, install them with a single mouse click. Do you know what this means? This means that all and any other method of getting Linux games is virtually obsolete. You now have a Steam Valve style programs for Linux, capable of bringing hundreds of great titles to your desktop. Follow me. 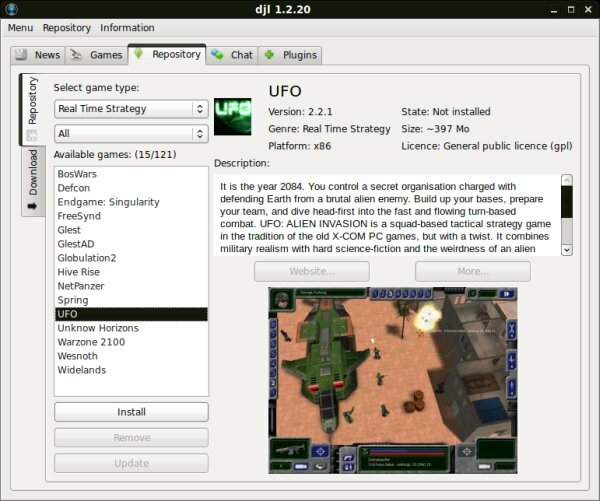 djl is an open-source game manager for Linux, written in Python and inspired by Steam Valve for Windows. When you run the script the first time, if you do not have the Python framework installed, you'll get an error. Luckily, the script points you out to the missing python-qt4 libraries. Fire up your package manager and install it. Alternatively, use the command line to install the package. Once you have everything in place, run the application. You will be asked to configure the tool. This includes configuring the installation directory for your games, the Web browser of your choice, the default tab in the main menu, the font size, updates, dependencies, and more. Very convenient. Now comes the really cool part. After you download the News items, you're ready to roll. Go to Repository tab and start enjoying this beautiful, powerful game manager. You can search the games by genre, like First Person Shooter, Strategy, Role Playing, etc, or by additional categories, like license or price. Very soon, you'll have games ready for you, including descriptions and screenshots. Absolutely amazing! Here we go, we have Postal and UFO from my seventh game compilation and Sauerbraten from my very first article on Linux First Person Shooters. Just click Install to get the game downloaded and setup. If it's already there and you don't want, use Remove. Likewise, Update to upgrade to the latest game version available. Simply incredible. You don't have to leave the comfort of the pleasant, ease-to-use interface, you don't have to mess with the command line or go to any website. Just use djl and you have everything you can possibly need! What more, you're bound to succeed. 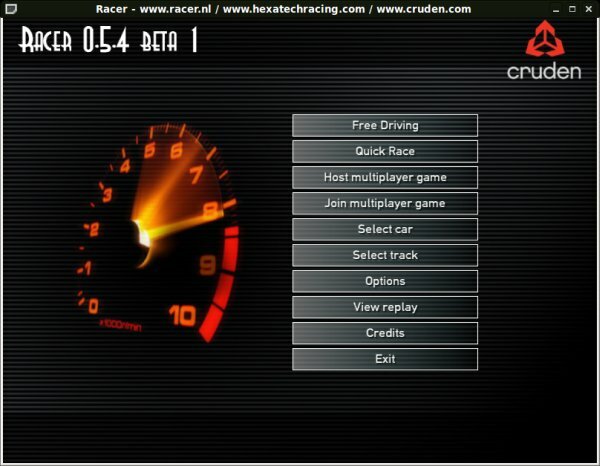 For example, Racer is a car racing game that I never managed to install using conventional methods, but djl made the affair oh so simple. Choose the game, watch the download progress and enjoy. We'll talk about Racer and many other games in the eighth mega thread coming soon. With djl, getting the games downloaded and tested is going to be a breeze. djl is an extensive tool, with plugins available. For example, you can add Urban Terror server monitor or follow Unreal Tournament statistics. And you can chat, too! Fantastic! 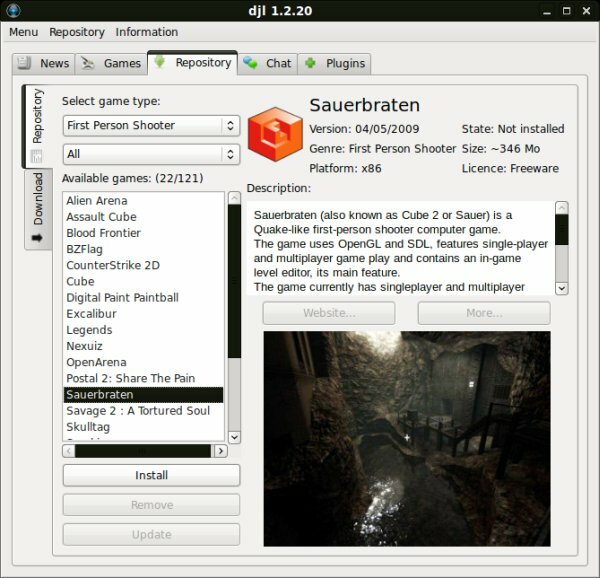 GameStore is a game management utility, specifically for openSUSE, following the similar concept of Steam Valve for Windows. 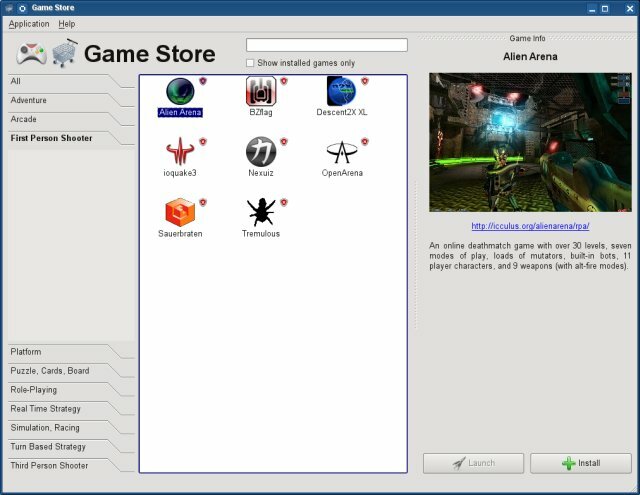 GameStore works against the Games openSUSE repository, downloading game information and screenshots, allowing you to browse the different categories, read about the games, get first impressions, and install them with one mouse click. Similarly, installing GameStore is a one mouse click trick. Just go to stick's corner and grab it. The one-click link will launch the software manager and install GameStore for you, including adding the extra repositories with more than 150 game titles available. 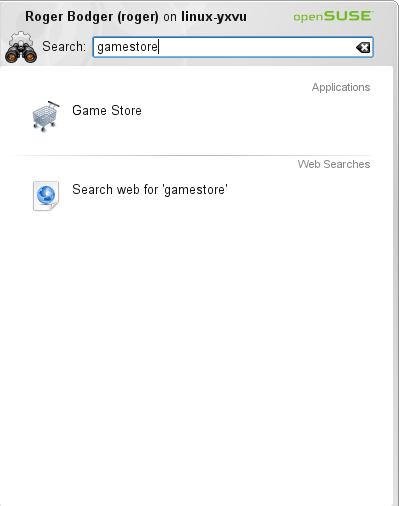 GameStore is still a young application, lagging behind djl in interface and options, nevertheless, it's very easy to use. It was also bug-free. 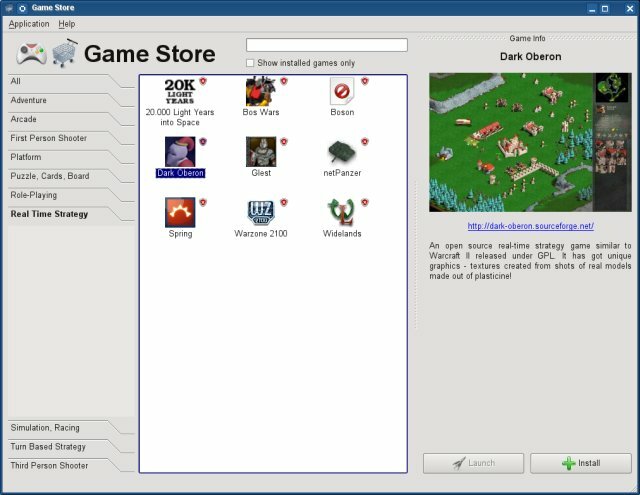 Like djl, it lets you browse different categories and install games. You get descriptions and screenshots for most of the games, allowing you to decide whether you're interested in the offered title. AlienArena, Nexuiz, Dark Oberon, Warzone 2100, Trigger, you name it. 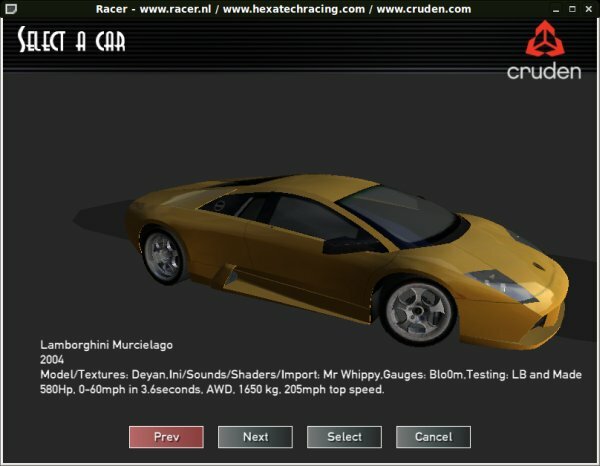 The most popular, free, open-source games are available for you, at the tip of your fingers. Very easy and convenient. 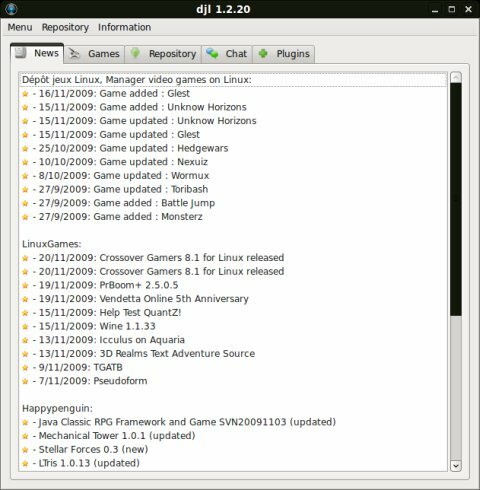 Once again, I'll ask, do you realize what djl and GameStore mean - many more Linux game reviews on Dedoimedo, coming soon! 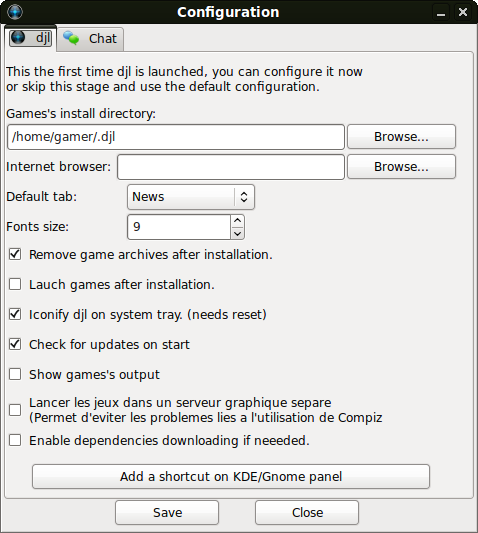 At the moment, djl is a more mature, more featured application, with a wider selection of titles and additional features, like better game installation/removal control, chat and plugins. GameStore also has a lot of potential and should grow into a beautiful program as it gets more recognition and support and new options and more games are introduced. Most importantly, whatever your Linux distribution, you now have the ability to cram your hard disks with lots of great titles and enjoy Linux gaming on a whole new level. No worries about installation, tweaks, command-line hacks, or anything like that. Just lean back and enjoy. I'm tremendously pleased by these tools. They are absolutely fantastic. If you have not yet installed them, do it now and start exploring the world of Linux gaming. See ya around!